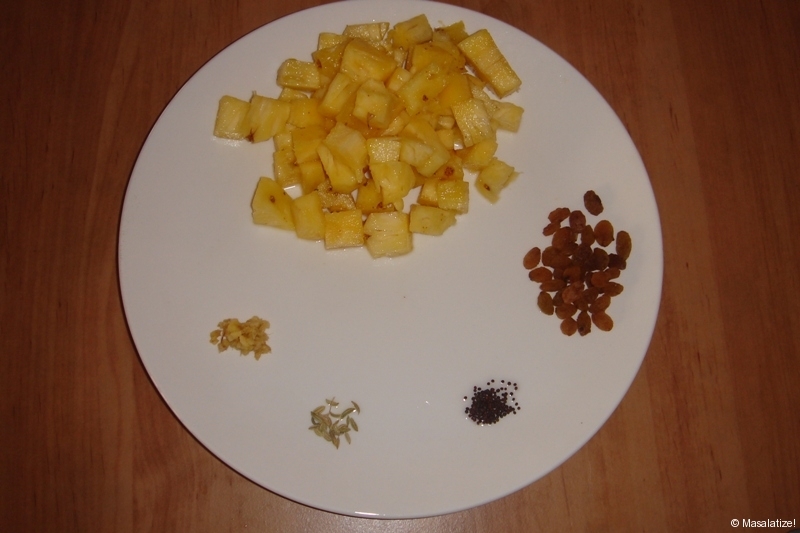 Remove outer skin and cut pineapple into small pieces. 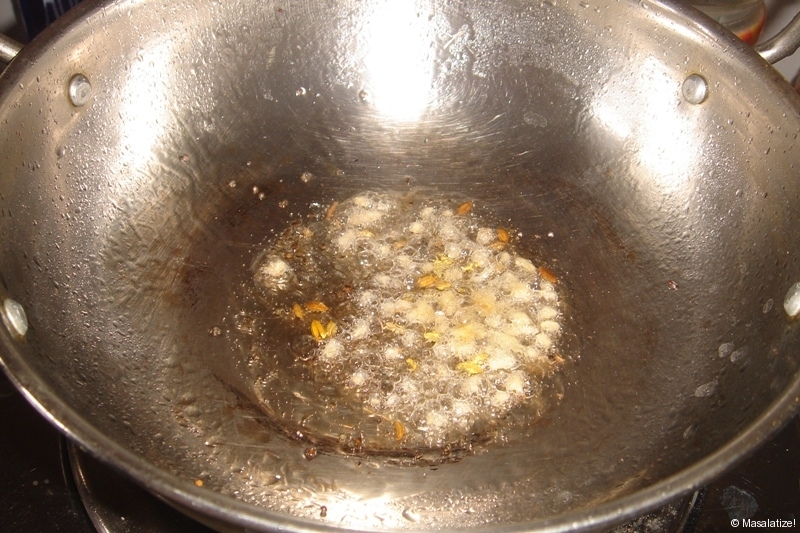 Heat oil in kadai then add mustard seeds, saunf to crackle in oil. 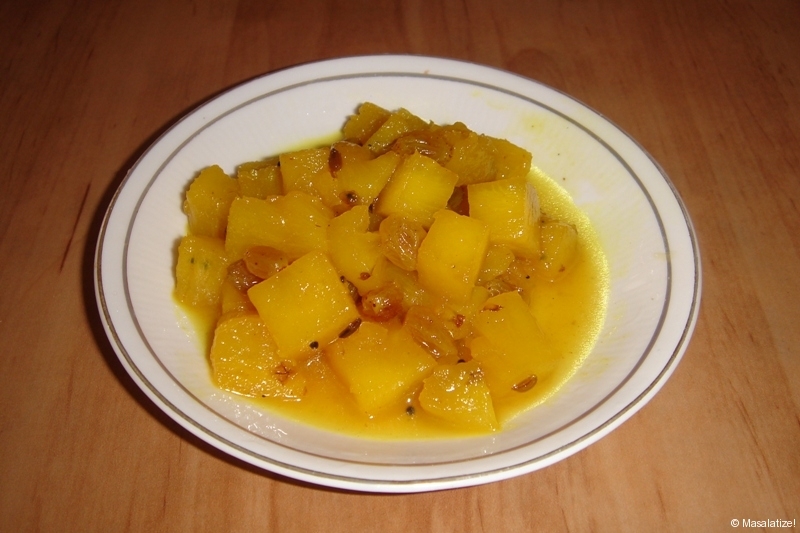 Then pour pineapple and fry little bit. Add salt and turmeric powder. Stir well. Mix raisins. Lastly add water with sugar. Preparation is ready to serve.